This is a very quick and simple recipe. 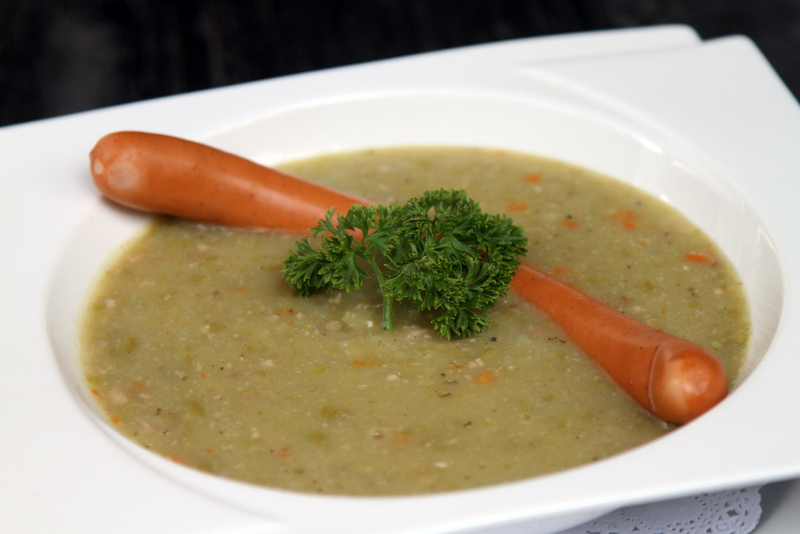 Vienna sausage will give this soup a unique flavour and you will absolutely love it. 1. Sautee the spring onions in a little butter, add the green peas and dust with flour while stirring. Top up the pan with stock and leave to simmer for 15 minutes. 2. Remove from the heat and blend in a food processor, strain the liquid and place into serving bowls. 3. Heat through the Swiss Deli Vienna Sausages in a fry pan, dice then add the sausage to the bowls and season as desired. 4. For a finishing touch add a dollop of sour cream or garnish with crispy noodles.